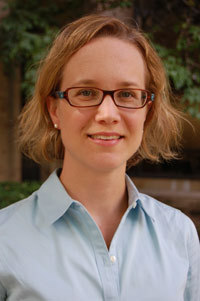 In the first study to measure the temporary impact of highly skilled immigrants on native populations, University of Notre Dame Economist Abigail Wozniak and Fairfield University’s Thomas J. Murray — a former Notre Dame graduate student — found that when highly skilled immigrants move to a city or town, the U.S. natives in that area who are also highly skilled tend to move away. However, the study found that the same immigrant group’s presence decreases the chances that low-skilled natives would leave. “High skill” refers to those having some post-secondary education or above, while “low skill” are those with a high school diploma or less education. “Natives” refer to U.S. citizens by birth. According to the study, which will appear in the July issue of the Journal of Urban Economics, smaller and more geographically isolated cities show the biggest impacts. There was little difference in results between growing versus declining cities. This study is one of the first to use city-level data from the American Community Survey, a newer data source from the U.S. Census that Congress recently has considered ending. Using statistics from the American Community Surveys of 2000-2010, Wozniak examined how immigrants affect native populations in metropolitan areas. Wozniak’s study was the first to use annual data as opposed to decadal data to measure the impact of immigrant arrival and native population shifts. Decadal data tends to obscure the short-run or temporary changes that can be found in annual data, and decadal data often shows no relationship between immigrant arrivals and native population change. Originally published by Susan Guibert at newsinfo.nd.edu on June 04, 2012.